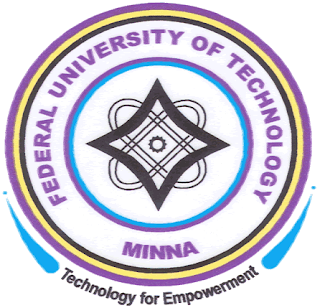 The Federal University of Technology, Minna [FUTMINNA] Postgraduate Courses [PhD/ Master/PGD Programmes] and Admission Requirements. The Management of the Federal University of Technology, Minna [FUTMINNA] has published the approved list of postgraduate courses and admission requirements for the 2018/2019 academic session. Minimum of five (5) Credits including Mathematics, English Language, Economics and any two Social Science or Science subjects. Minimum of five Credits including English Language, Mathematics, Physics, Economics and any other Science or Social Science subjects. Five ‘O’ Level Credits in English Language, Mathematics, Geography, Economics and one Science Subject. Minimum of five (5) ‘O’ Level Credits to include English Language, Mathematics, Economics and any two of the following: Chemistry, Technical Drawing, Geography, Surveying, Physics, and Agricultural Science/Biology. Minimum of five (5) ‘O’ Level Credits to include English Language, Mathematics, Physics and any two of the following: Chemistry, Technical Drawing, Economics, Geography, Surveying and Agricultural Science/Biology. Minimum of five (5) ‘O’ Level Credits to include English Language, Mathematics, Physics and any two of the following: Chemistry, Technical Drawing, Economics, Geography, Elementary Surveying, and Agricultural Science/Biology. A minimum of five (5) ‘O’ Level Credits in English Language, Mathematics and Geography. The other two subjects must be from Sciences or Social Sciences. (Physics, Chemistry, Agricultural Science/ Biology, Technical Drawing, Economics or Government). Minimum of five (5) ‘O’ Level Credits in English Language, Mathematics, Biology, Chemistry and Physics. Minimum of five (5) ‘O’ Level Credits in English Language, Mathematics, Chemistry, Biology and any other Science subject except Agriculture Science. At least a Pass in Physics is required. Minimum of five (5) ‘O’ Level Credits in English Language, Mathematics, Physics, Chemistry, and Biology. Minimum of five (5) ‘O Level Credits in English Language, Mathematics, Geography and any other two from the following: Physics, Chemistry, Economics, and Biology/Agricultural Science. Minimum of five (5) ‘O’ Level Credits in English Language, Mathematics, Biology/Chemistry and any other Science subject except Agricultural Science. Minimum of five (5) ‘O’ Level Credits in English Language, Mathematics, Physics, Chemistry and one other Science subject. Minimum of five (5) ‘O’ Level Credits in English Language, Mathematics, Physics and any two other Science subjects. Minimum of Five (5) ‘O’ Level credits in English Language, Mathematics, and three other Science subjects. A candidate applying for Postgraduate Studies in the Federal University of Technology, Minna must have obtained five (5) Credits in WAEC, NECO, NABTEB and GCE (‘O’ Level) or their equivalents including English Language and Mathematics at not more than two sittings. No admission shall be made on the basis of any awaiting ‘O’ Level result and no exemption is made for admission into any programme. iii. Candidates with HND with a minimum of Lower Credit, OND Lower Credit and a Postgraduate Diploma in relevant field with, at least a minimum of Lower Credit and one year graduation experience may be considered. iv For avoidance of doubt, candidates with PASS grade at any level of Degree, PGD, HND and OND do not qualify for admission to the PhD/ Master/PGD Programmes. No Diploma candidate with CGPA less than 2.50 qualifies for admission into the Master Degree Programmes. v Where examination is required as in the case of (ii) and (iii) above, an examination fee of N2000.00 will be charged outside the cost of Postgraduate application forms. vii. All Master Degree Programmes require course work components in addition to research work components. There is no exemption. A Thesis must be defended and submitted for a student to qualify and graduate. i. Candidates for admission for any of PhD Programme shall be Master Degree graduates of the Federal University of Technology, Minna or any other University recognized by the Senate or holders of equivalent qualifications acceptable to the University Senate. iii. Appropriate courses may be prescribed for candidates whose background is considered weak for the areas of specialization. This is done at the discretion of the School/Department within the approved general regulations/guidelines of the Postgraduate School. The Master Degree programmes are expected to last a minimum of Three Semesters for Full-time Students and there is no Part-time for Master’s Degree programmes. The maximum allowable periods of studies shall be Six Semesters for Full-time, subject to maintaining a CGPA of 2.50 in every Semester. Failure to meet this requirement will result in withdrawal from the programme. Overall aggregate of not less than Lower Credit (Minimum CGPA of 2.50). ii) A Bachelor Degree in Agriculture and Allied Discipline such as Vet, Medicine, Biology, Botany and Zoology with a minimum of a Second Class (Lower Division) or its equivalent for unclassified Degrees. iii) Minimum of five (5) ‘O’ Level Credits as stated in b(ii) above. , BTech or BEng. with a minimum of Third Class in any relevant field. iii) Minimum of five ‘O’ Level Credits to include Mathematics, English Language, Economics, and any other two Science or Social Science subjects. Minimum of five (5) ‘O’ Level Credits in English Language, Mathematics, Physics and any other two Science Subject.